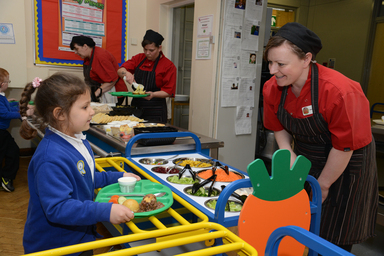 All our school meals are prepared on the premises and there is always a delicious choice available. School meals are priced at £2.20 per day or £11.00 per week dinner money must be paid on a Monday in advance for the rest of the week. If you think you are entitled to free school meals you can collect a form from the school office. You can also contact the free school meals department at Gateshead council to find out if you are eligible.